Today’s website visitors are utilizing a growing range of devices for online browsing. According to research conducted by Morgan Stanley, for example, mobile device usage surpassed that of traditional desktops for the first time in 2015. The increasing pace of technical innovation is also introducing alternative devices, such as smart televisions and digital kiosks, that transform the dynamics of the traditional online buying process. Responsive website design, therefore, is a critical prerequisite for capitalizing on emerging shifts in display technologies by ensuring effective functionality across the expanding range of interconnected devices. Most businesses focus on the cosmetic aspects of responsive design, but this instinctual emphasis ignores the dynamic impact that alternative devices can have on the motives and needs of buyers. For example, approximately half of online shoppers are willing to make purchases using mobile devices. Mobile purchases, however, are generally confined to relatively small transactions and routine buys. Larger purchases that entail more research and cost, in contrast, are almost exclusively transacted using traditional desktops and laptops. Therefore, businesses must account for the dynamics of device usage to get the most out of developing a responsive website. When smartphones and tablets were first introduced, industry analysts resoundingly predicted the imminent demise of traditional desktops. Today, however, it is clear that desktop sales only dropped temporarily because buyers were purchasing their first mobile device instead of upgrading to a new computer. Desktop sales have since normalized at previous sales levels, and the implication is that users prefer to create content on traditional computers while consuming information on mobile devices. Users want to do their work on their computer, then watch television or read social media feeds on their mobile devices. Businesses endeavoring to create a high-performing responsive website, therefore, must account for the fundamental differences in the nature of Web usage by device. Businesses developing a responsive website should attempt to tailor the type of information presented to the device being used by a visitor. For example, nobody is going to buy a high-end car from their television, but they might watch videos of their dream car from their living room. Responsive websites should be planned to account for the approximate stage of the buying process that a device represents. Most mobile device users are seeking general information that might lead to a purchase later down the road. Desktop users, in contrast, are more willing to read technical or legal information. Accounting for the information visitors are likely to be seeking by using a certain device can build a brand’s credibility in the customer’s mind and lead to a higher overall conversion rate. Users vary in how they interact with a website depending on the type of device being used. Mobile device users, for example, are more sensitive to slow page loading speeds. Visitors with smartphones are generally looking for quick answers and, thus, are often unwilling to read long articles. In contrast, users on tablets are more willing to read long-form articles if the information is conveyed in a casual manner. Individuals visiting a website from their television might be exclusively looking for videos and images. Businesses should ideally seek to optimize their website for the irregular behavior patterns that visitors exhibit depending on which devices they are using. Usability concerns should not be ignored when developing a responsive website. Users demand tailored content for alternative devices, but they also demand that content be conveyed in a way that makes it accessible and readable. Overlapping images and frozen pages are a common problem on mobile devices, and individuals who experience this problem regularly acquire little patience for these performance issues. Consequently, usability issues almost always cause visitors to leave a page and go to a competing website. Businesses attempting to develop a responsive website must test the usability of their website on as many alternative devices as possible. Websites should also be tested for their ability to perform with touch-screen interaction, tab-based navigation, and screen readers. Businesses focused on driving revenue through their website should account for search engine optimization concerns when developing a responsive website. One of the most important factors for search engine ranking in today’s world is bounce rate, which skyrockets when pages load slowly and usability concerns are prevalent. Bounce rates should be carefully measured and optimized when developing a responsive website. Businesses should also keep track of mobile search rankings since Google uses a different algorithm for mobile results pages. In particular, location is critical for mobile devices, whereas this is rarely a significant consideration with Google’s ordinary ranking algorithm. Responsive websites should account for search engine optimization concerns to maximize inbound traffic and prevent the dreaded ranking penalties. Alternative devices are no longer the novelty that they once were. In fact, many customers are unwilling to even consider doing business with a company that does not have a website that performs effectively on the buyer’s favorite device. Responsive design is particularly important in business-to-business relationships because customers are looking to find information about an offering long before initiating the sales process. Businesses that fail to convey the type of information that a prospective customer is looking for on an alternative device could lose a significant amount of potential sales to a competitor. A well-executed responsive design strategy, therefore, could offer businesses a significant competitive advantage over the majority of businesses that are still lagging behind on optimizing for the modern device mix. Spil© specializes in creative design strategies that help organizations unlock the power of brand equity. We believe that the only way to grow our business is to first grow yours. 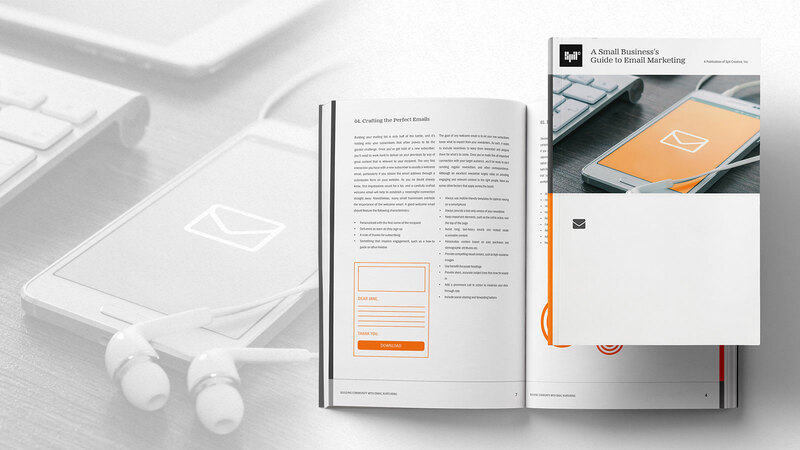 You may be interested in "A Small Business's Guide to Email Marketing."